Camping or RVing comes in many forms. It can be an RV, trailer or car, and these come in many sizes. Duration of the trip and time at destinations also vary greatly. A compact car with tent and backpack hiking for a few days may be at one extreme, and a 35 foot motor home towing a car and 'snowbirding' in Arizona for six months may be another. Your choice of outdoor recreation type will usually define your equipment. We like to see as much of the country as possible and love hiking, so our choice is a small light comfortable (getting older and more spoiled) RV. I confess we don't understand the appeal of going to one spot for a week or more and just sitting or walking the dog. But it's getting harder and harder to find new and interesting places, as it's human nature to cherry pick on the first trip. Thanks to the Internet though, while new places are diminishing, finding them has gotten a lot easier. 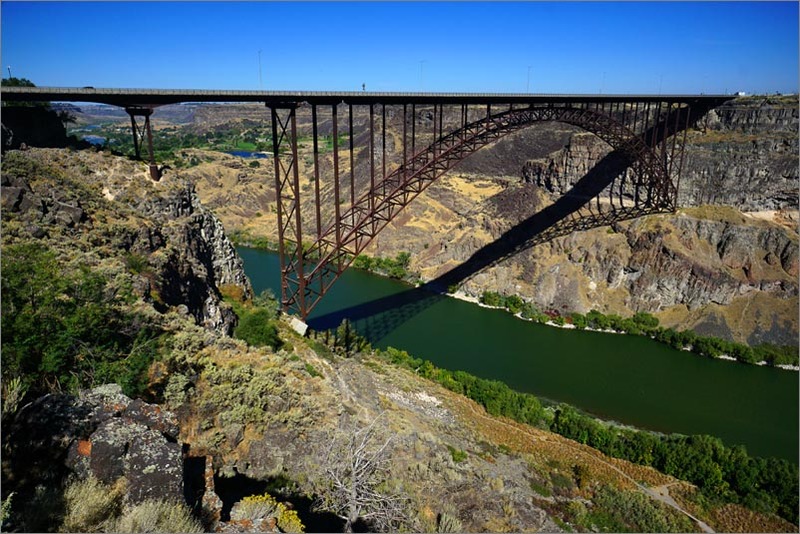 We had been to Idaho a few times before and felt we haven't covered much of this underrated state. I began by going to various sources to discover hikes and other interesting areas using Alltrails, TripAdvisor, Google maps, Open Street/Source maps (which were better for trails) among others. As areas of interest were plotted, I figures a round about route which included most sites yet kept driving to a minimum. If done right, there would be no more than two or so hours of driving a day. 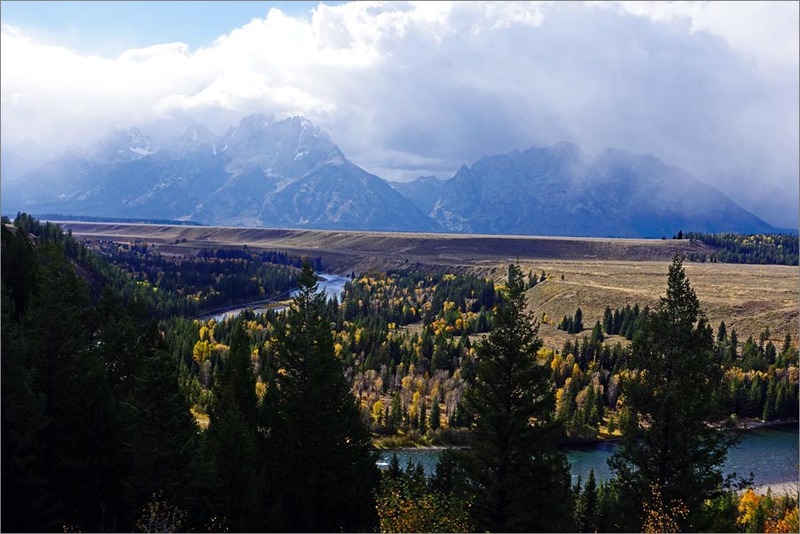 As there really wasn't enough new sights for two weeks (our personal limit) we included Yellowstone and Grand Teton parks. Even though we've been there before, both are large and there was a lot we missed. All went well with the exception of Yellowstone. Camping, even on the verge of closing for the season was fully booked. And the crowds at some of the more popular places ruined the experience for us. But away from the major attractions, and on all but the most popular trails you had some elbow room. Why not book one might ask. Well if you find a fascinating place like City of Rocks and want to spend another day there, you can't as you then have a schedule. It only works if you know how much time you will want to spend at each place, and you don't know that until you get there. 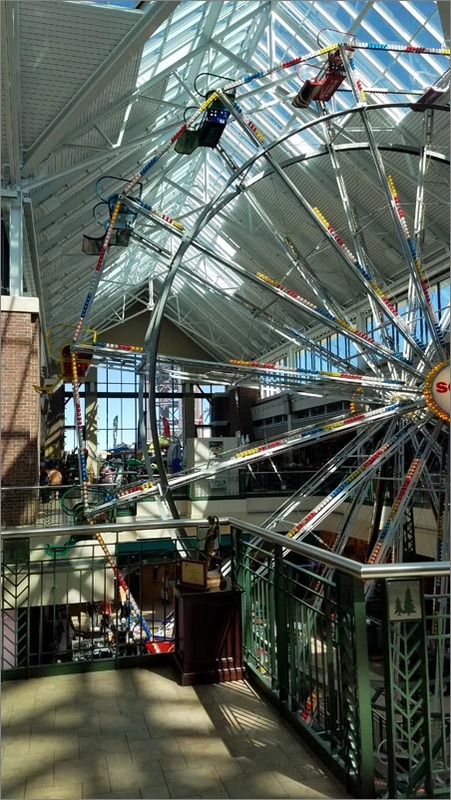 Our first stop was Sheels in Reno as I needed a new Gps, and what better place than a sporting goods store so large it has it's own ferris wheel! Then on to Thunder Monument Indian Monument, an iconic artistic resident of found objects encased in concrete left by Van Zant, a WWII veteran after an epiphany. 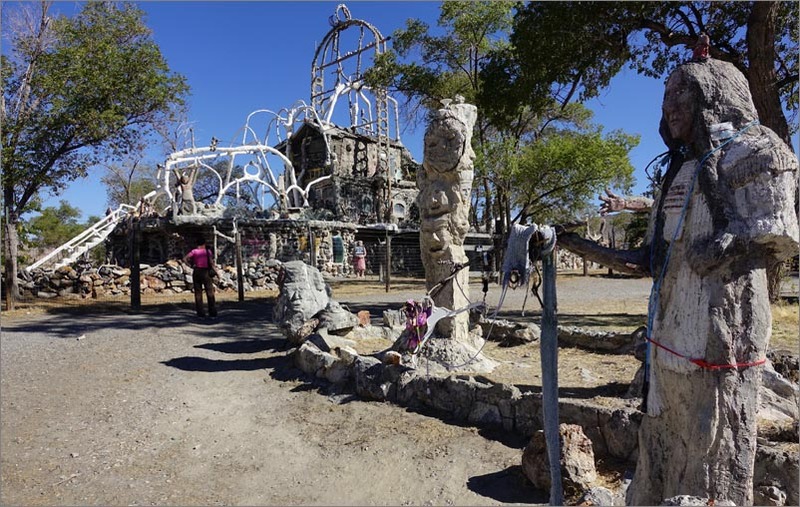 We had gawked at this structure from the freeway several times and it was now time to visit. As Mimi is a botanist, we decided to head for the Idaho Botanical Garden in Boise. When we last went it was relatively new, but not that much had changed except the trees have gotten bigger and there were several new additions which were fun to see. Idaho City was billed as a living ghost town, but we were disappointed. Many of the buildings were faux and not very well done at that. Still it has some charm and is worth visiting if close by. 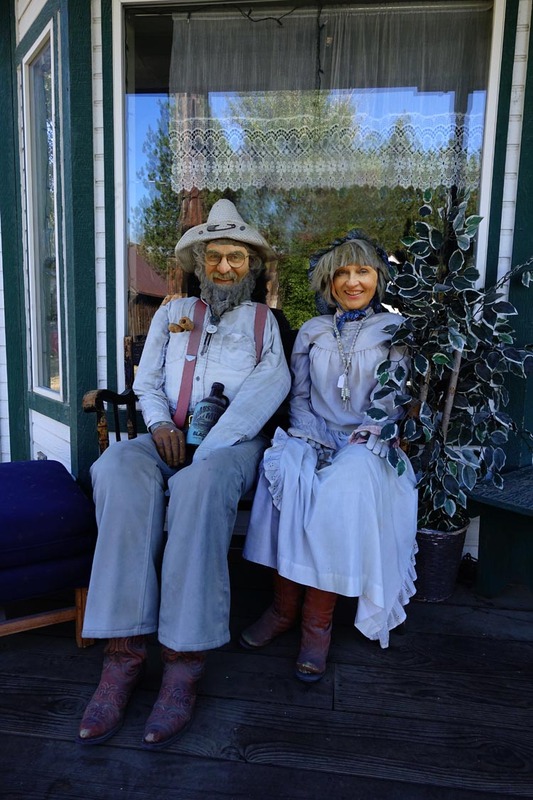 Here's a nice couple enjoying some refreshments on the porch. From here we went back via scenic Hwy 21 to Bruneau Dunes State Park, a bucolic country park with 200 foot dunes surrounding two lakes. Then to the amazing Malad Gorge State park. 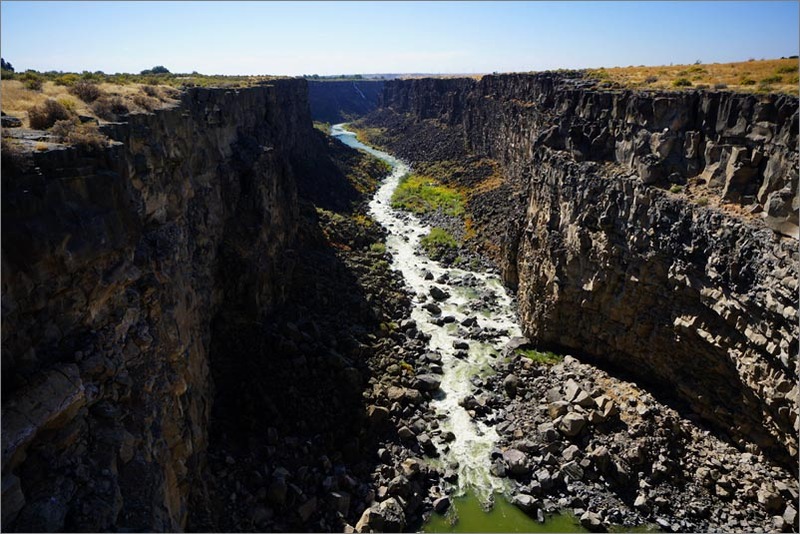 Much of the snake river cuts through these volcanic formations and this is a particularly good example. Afterwards we took in the Shoshone Falls out of Twin Falls. 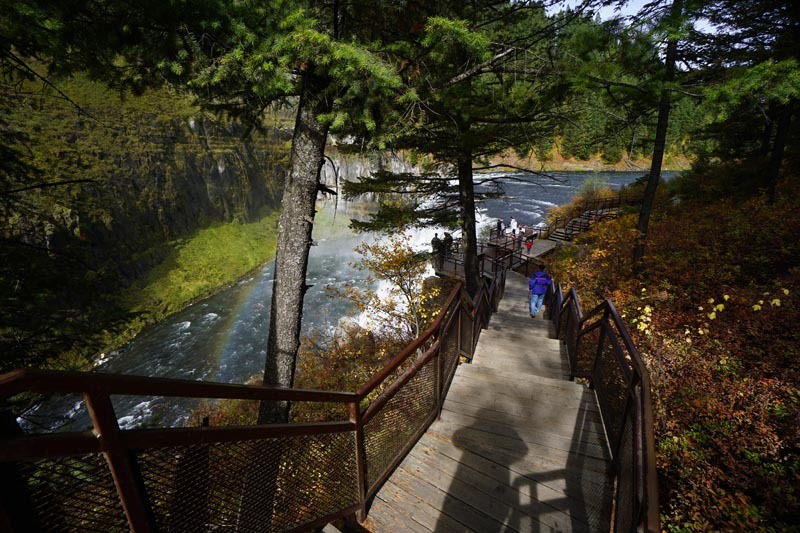 They have a wonderful rim hike out of the visitors center but we never saw the falls. On making a great detour, we discovered why, it was but a dribble now. 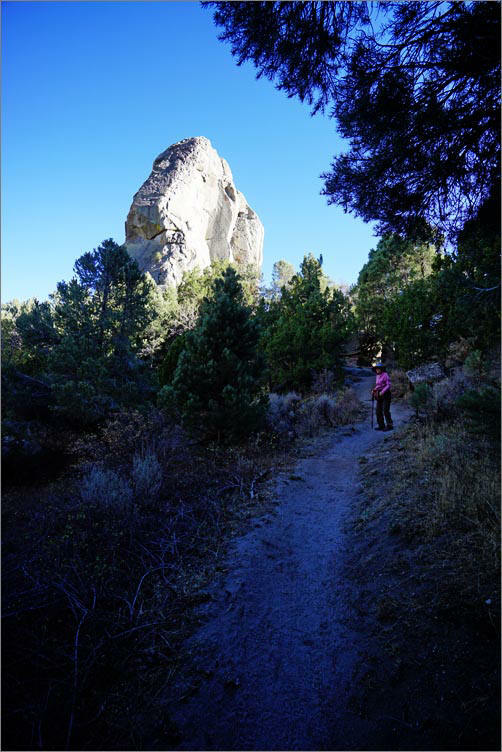 On to the City of Rocks about 30 miles SE of Twin Falls. Next to the Alabama Hills of California, this is the most unusual collection of giant rocks we've seen and an international rock climbing destination. Since we had (luckily) forgotten our climbing gear, we opted for some of the easier events like hiking. An added plus was we hit the bright fall colors at full peak. Only the bad road into the park tarnished our experience as it kept us from coming back a second day. 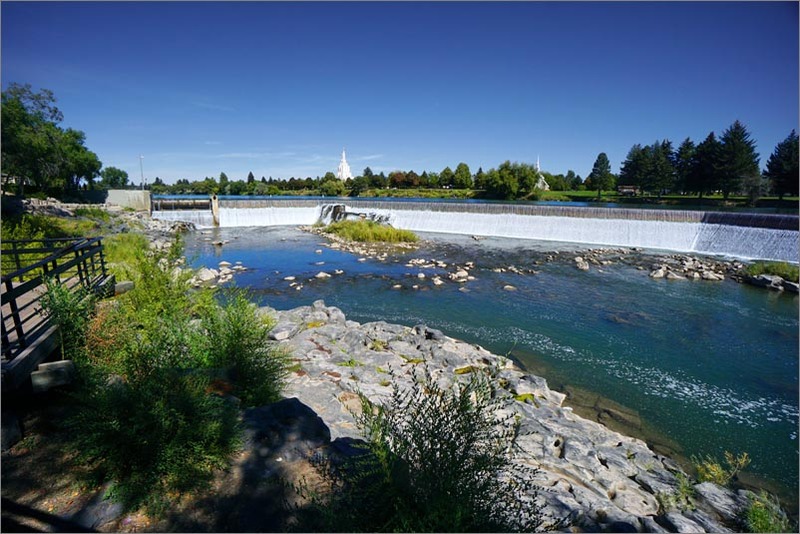 We didn't expect much at the Idaho Falls River Walk, but it was the only attraction in the area. Well, what a surprise! 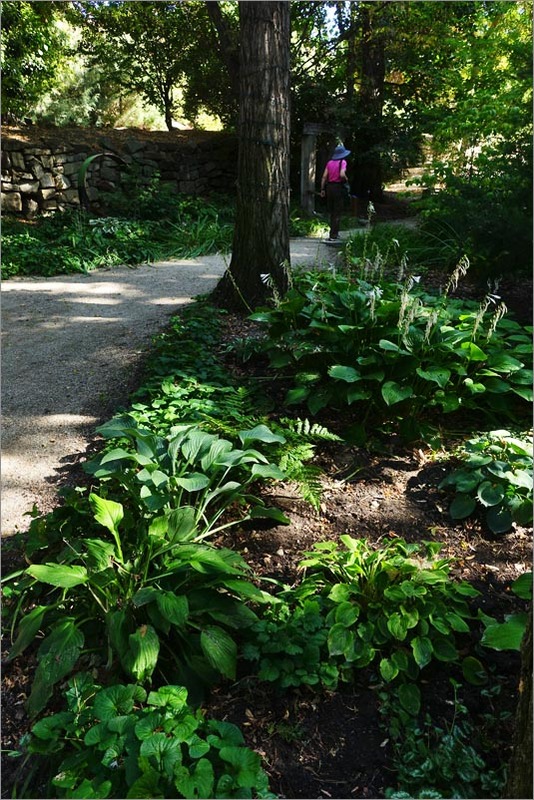 It was set in the basaltic river bed out of which are carved various gardens and foot paths. These go along side a large grassy field boarded by elegant office buildings looking more like stately homes. At the end are the amazing quarter mile long falls framing a grand church in the distant. Highly recommended. Our next stop was North Menan Butte set in Idaho's farmland. We had expectations of something more volcanic, but it was mostly dirt now and the climb was steep. Great views of the valley though. 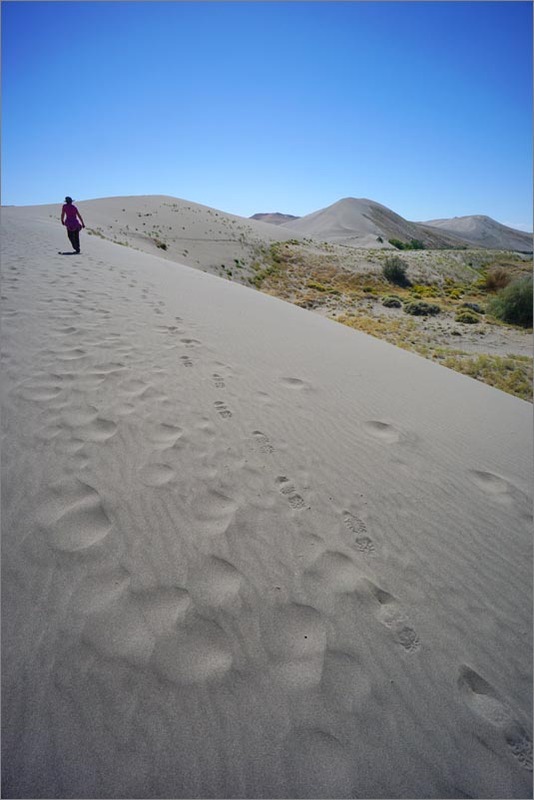 On to St. Anthony Sand Dunes and the Egin Lake Campground, our first major disappointment. While some of the best dunes in the Northwest, it was appropriated by dune buggy enthusiasts. The sound of roaring engines and flying carts were everywhere and we had no chance to hike safely. 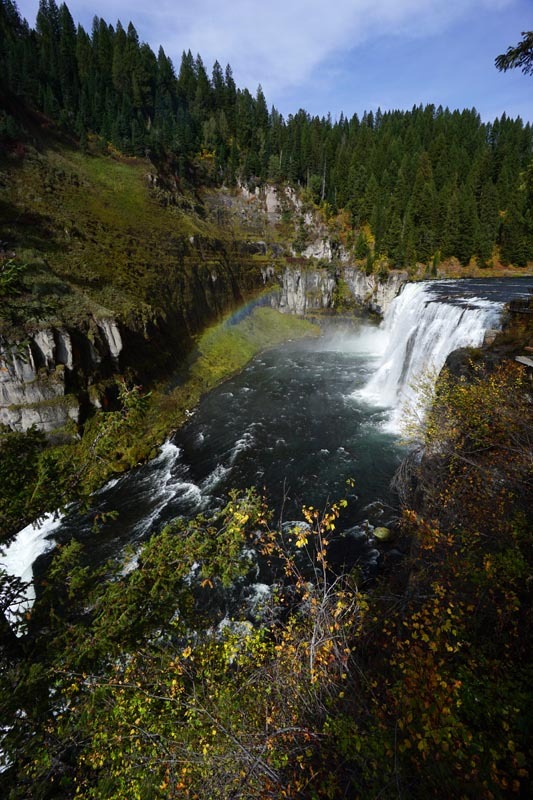 The following day we visited Mesa Falls, with it's quaint little visitors center and wooded trails overlooking the falls. We also enjoyed a mile hike to the Lower Falls along a nice forested trail surrounded by fall colors. Upper Mesa Falls from a distance. Yellowstone was next. The only good news came first... entrance for today was free! All local campgrounds were full with RV's and cars everywhere having to fight to find a parking place. A friendly ranger took pity on us and luckily found a spot, about 45 minutes south of us. As this cut into our sight seeing plans, we only covered a part of the park we hadn't planned on seeing. 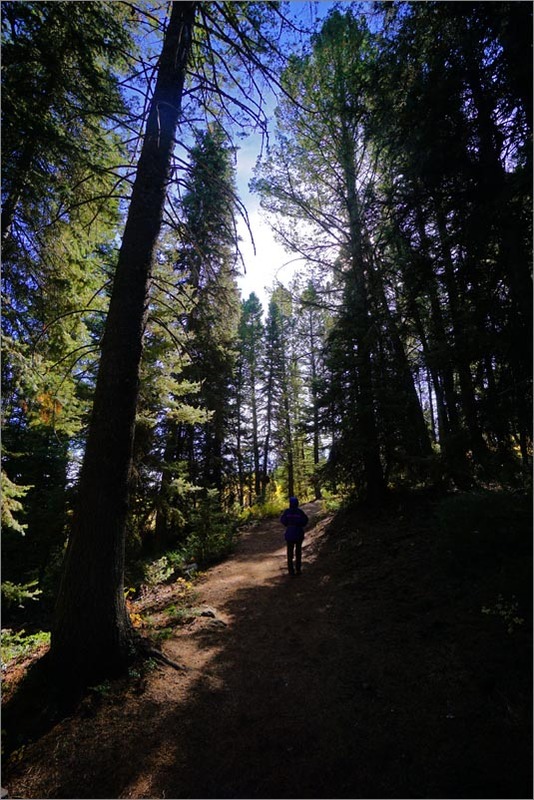 It was a carpet of humanity at the popular sights and almost no one at trailheads. So we hiked what we had time for on our way out. 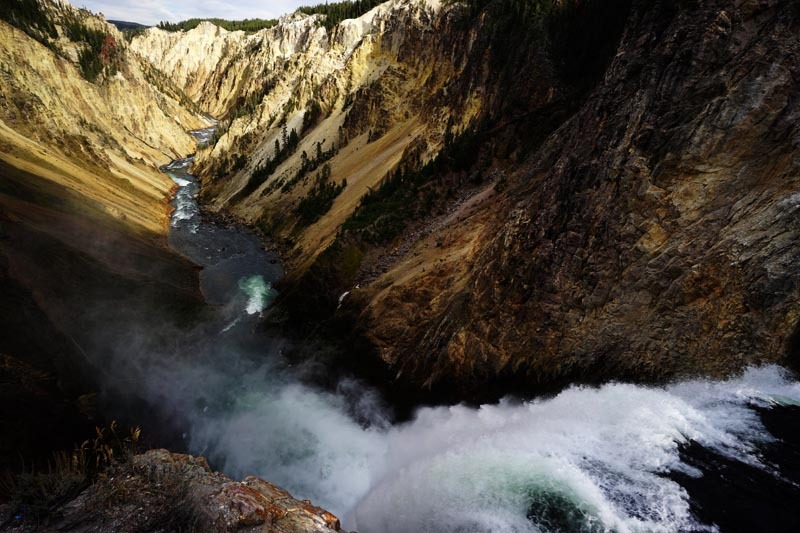 Lower Falls of the Yellowstone falls from the bottom of the Rim Road trail. 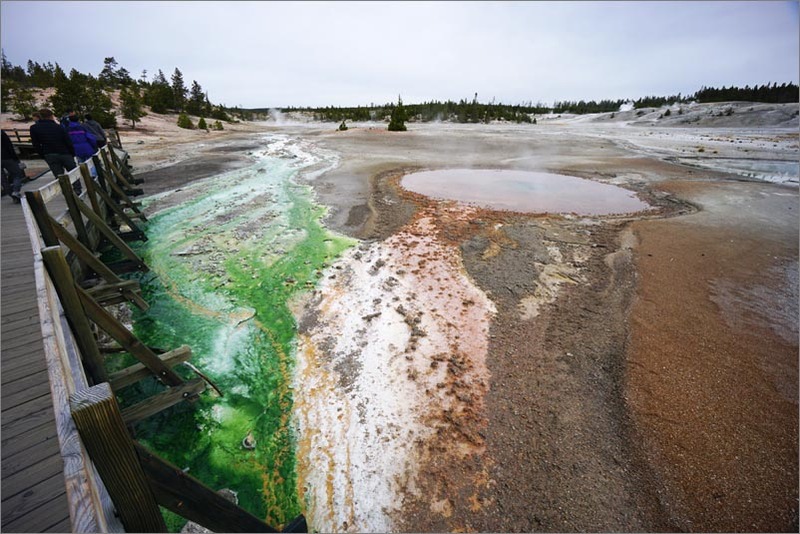 (click to enlarge) Viewing Norris Geyser among hundreds of others. 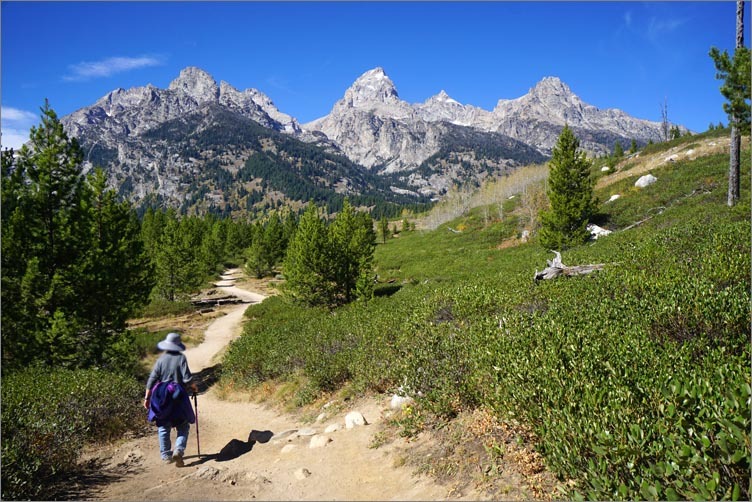 After Yellowstone, we were much relieved to get into Grand Teton. 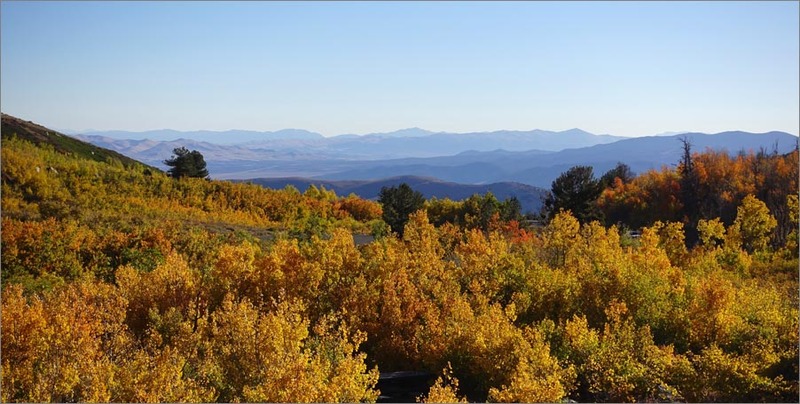 Stately mountains surrounded by pristine lakes set among rural ranches and all going at a much slower pace. 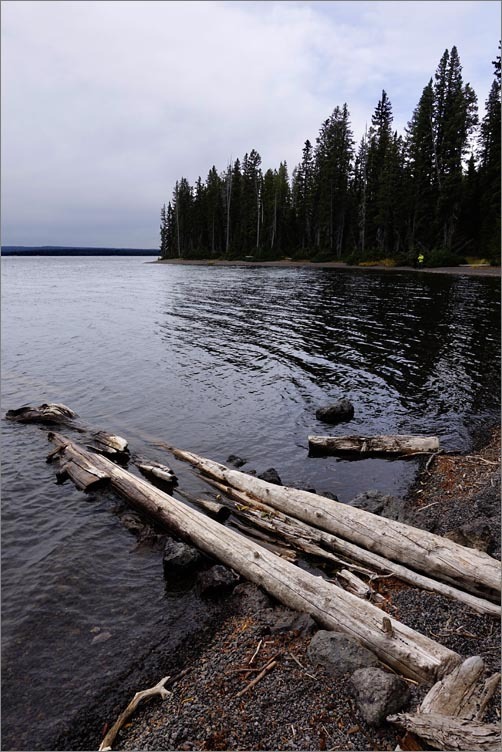 We took a number of hikes but the main one was up to Taggert Lake. A dark green lake with much of the trail running along a nicely wooded stream. Lewis Lake was a delightful little alpine like campground. There was no official trail, but a nicely traveled one around part of the shoreline. 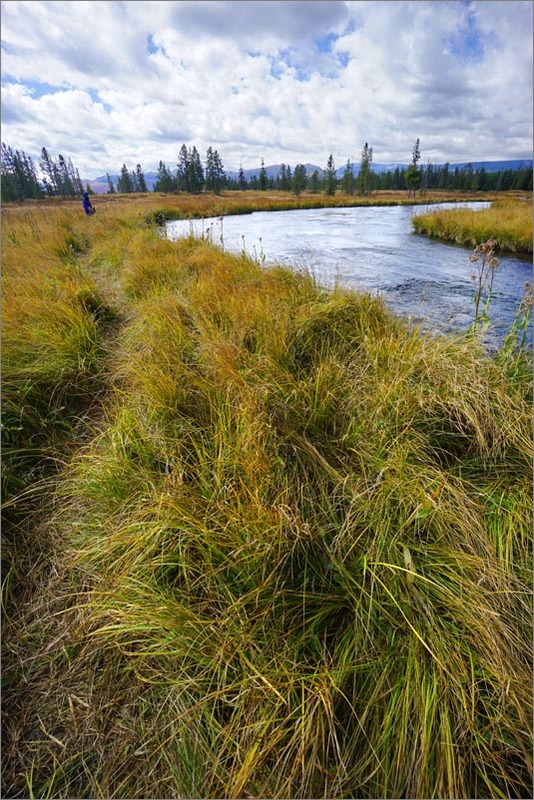 We tried to find the Huckleberry Hot Springs but didn't want to ford a stream, but had a very pleasant walk though one of the area grassy river basins we had so often admired. 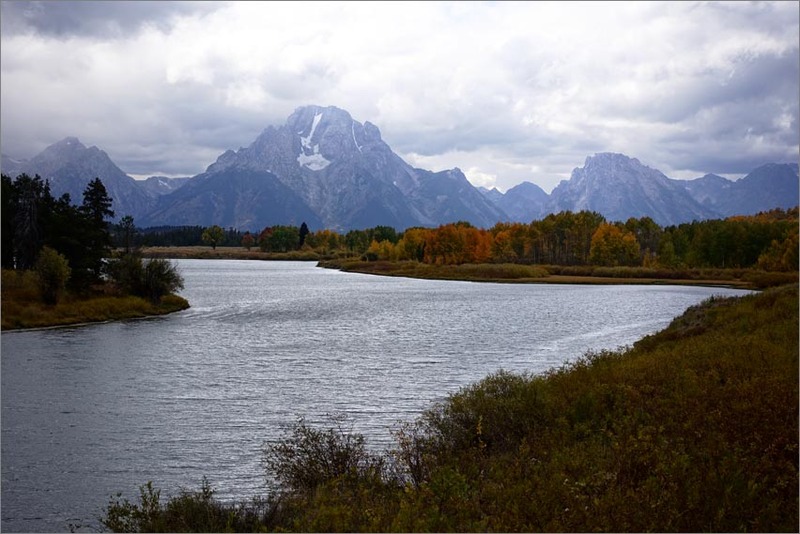 View of the Tetons on an overcast day. 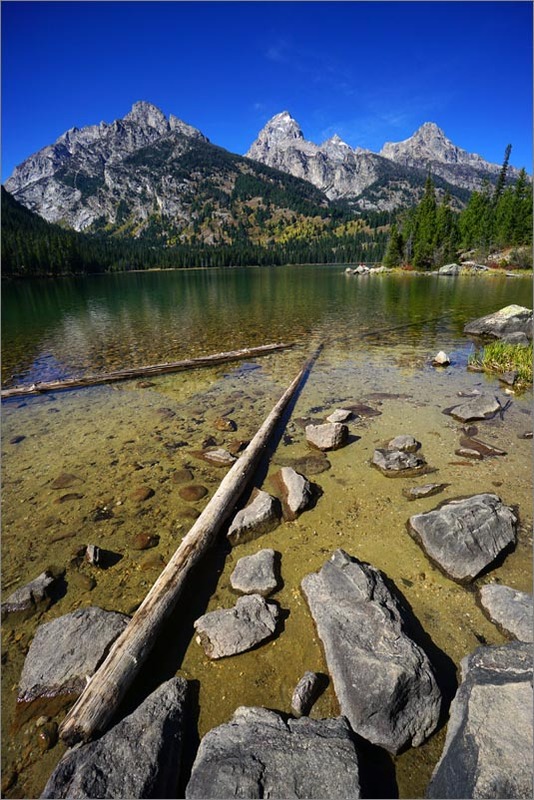 There are two outstanding roads in the Tetons. One is the Teton Park Road and the other is the section of Hwy 89 which runs nearly parallel to the Teton Park road on it's southeast side. Both have multiple turnouts and exceptional viewpoints. 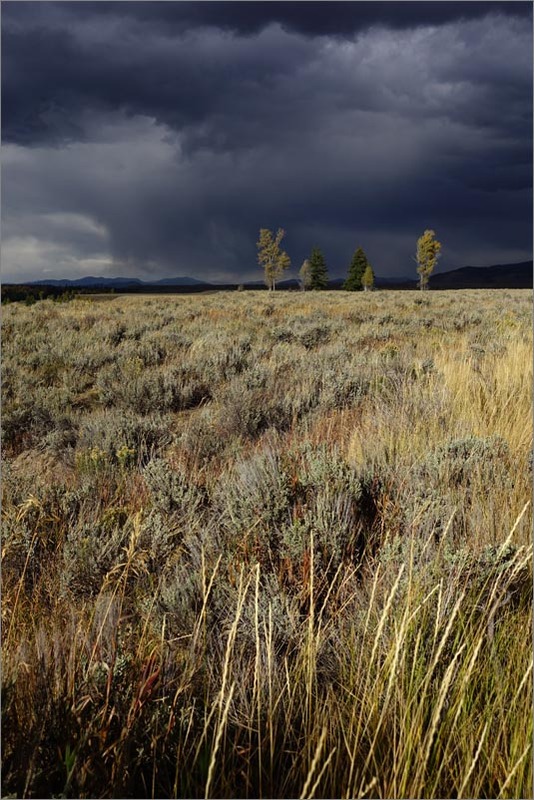 A Sage & Rabbit Bush section of the Teton basin under ominous clouds. Iconic view made famous by Ansel Adams in 1936. I notice the trees are a little bigger now, and the scenery has more color. We camped two nights at Gross Ventre, one we had visited years ago, but now with it's fall plumage. 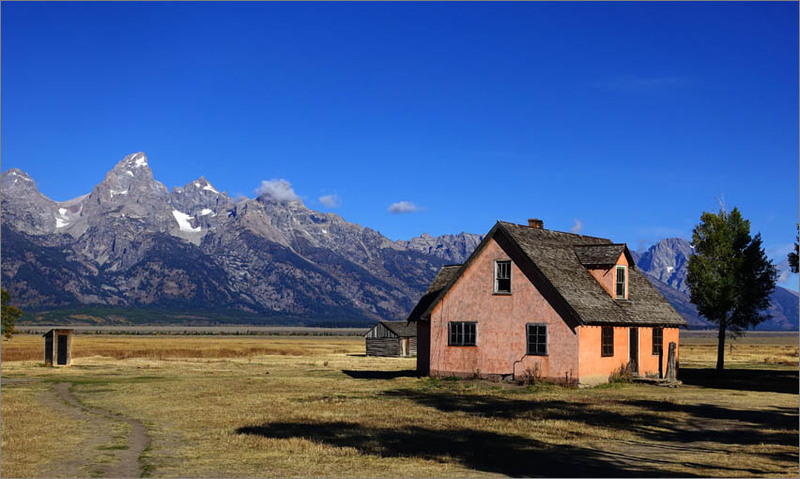 The Mormon Row Historic District, is one of the early settlements that was eventually abandoned. But it's a mecca for photographers and on an early morning sunrise it is certainly scenic if not a bit melancholy. Taggert Lake trail out of Moose Wy. 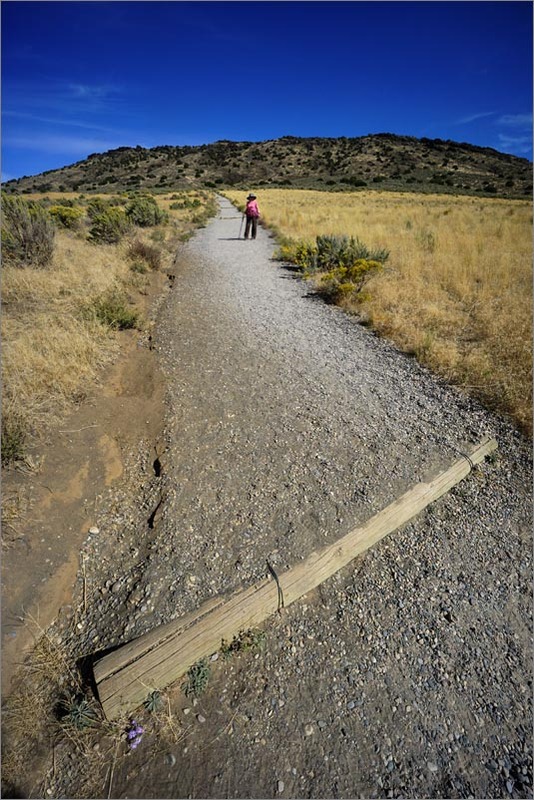 is one of the most popular hikes in the area yet doesn't feel crowded. 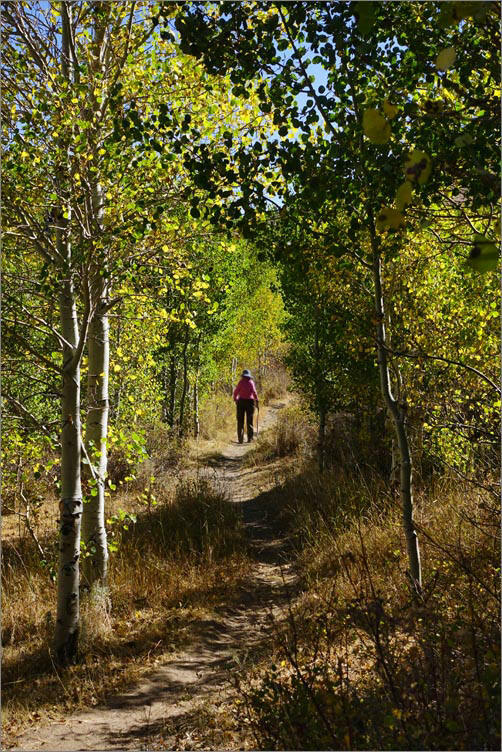 The trail climbs from about 6600 feet to 7000 feet in about 2 miles, much of it alongside a pretty creek shaded with Aspen. Taggert Trail alongside the creek. As we headed southwest, from here we took 89 through scenic mountains to a wonderful little campground called St. Charles near Bear Lake. We were the only ones there but a local said in the summer there is a waiting list months long for spots here. On the way we took in The National Oregon/California Trail Center museum, where we were the only ones at this charming little museum and got a personally guided tour of life on the trail. We continued down 89 through a colorful canyon to Logan, a very upscale university town. Then across to Snowville and down 233/30 for a long desert ride to Angel Creek Campground south of Wells. 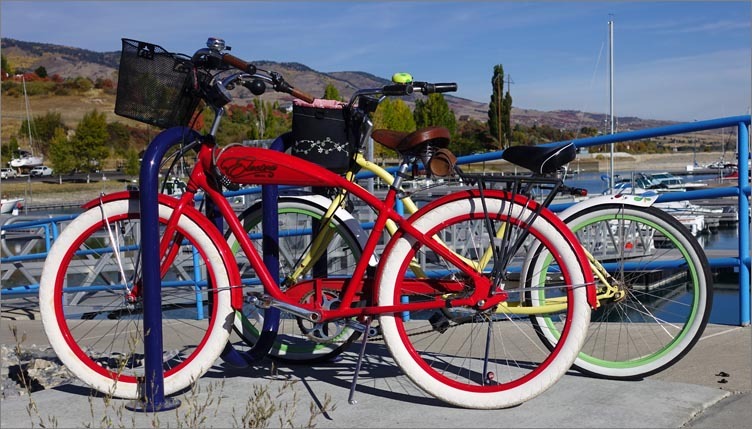 A colorful mode of transportation at the Bear Lake Marina. The charming Oregon - California Trail center where we got a personal tour. I never knew our pioneers wore Reeboks. Views from the Smith Lake Trail about 7 miles SW of Wells, Nv. 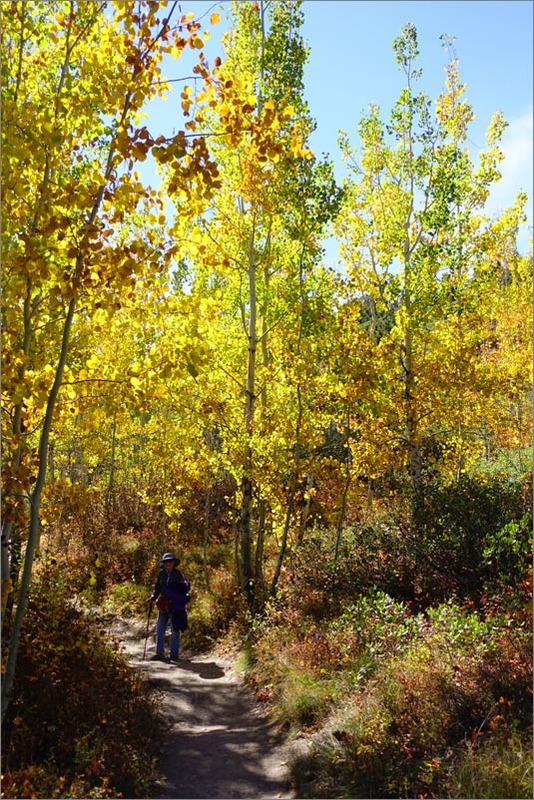 The wonderful Limber Pine Trail just west of Bear Lake. 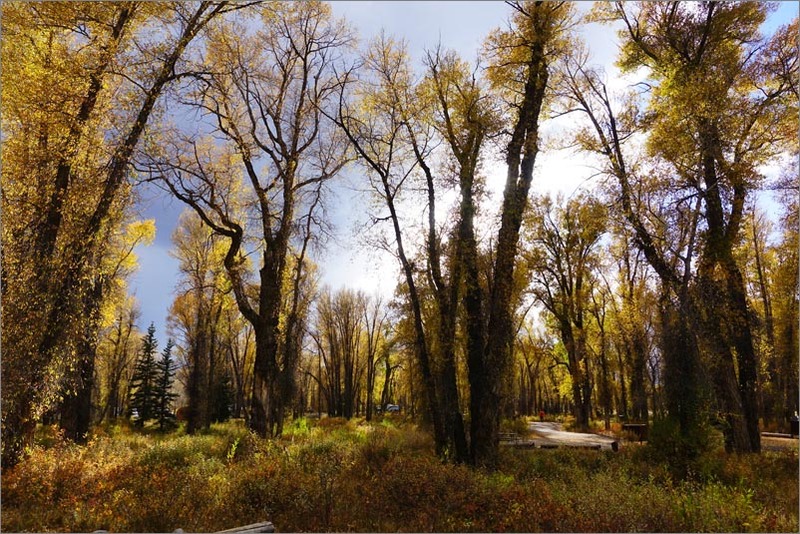 The following day we took an amazing drive up to Angel Lake with stunning views of the valley and some of the brightest fall foliage. We attempted a hike up to Smith Lake, but it was too steep. Got fuel and found we averaged almost 17mpg on our 12 year old Sprinter! Our last stop was the California National Historic Trail Interpretive Center. We had missed this for years as it's only open from Wednesday to Sunday. It was very nice, and being free today made it even nicer. 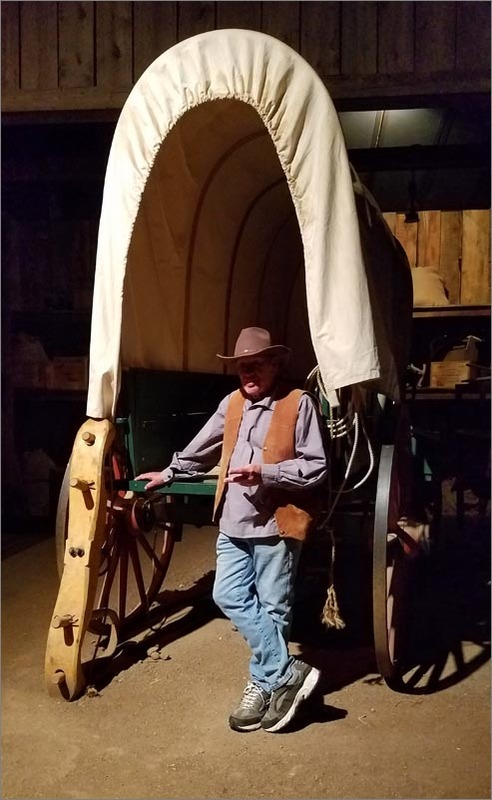 But I still can't help comparing it to the Oregon Trail Interpretive Center we saw years ago which was outstanding. Then again, perhaps memory makes things seem nicer. 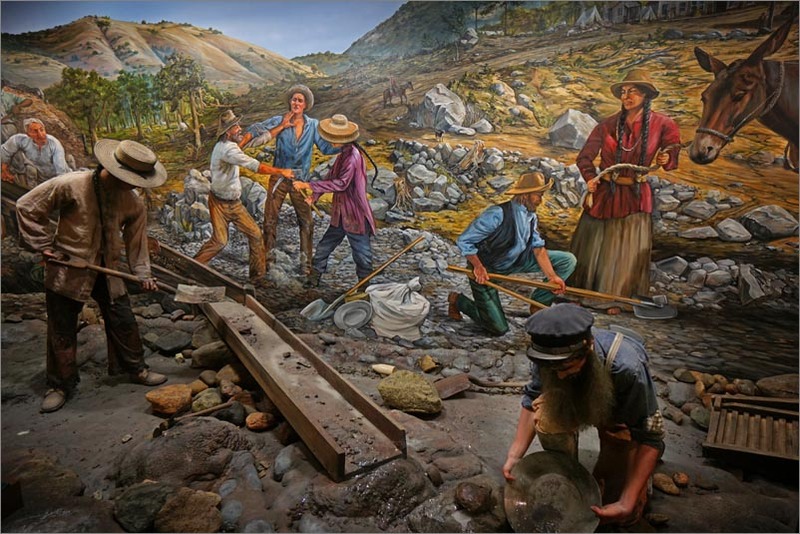 One of the many colorful dioramas of the California Trail Interpretive Center near Elko, Nv. 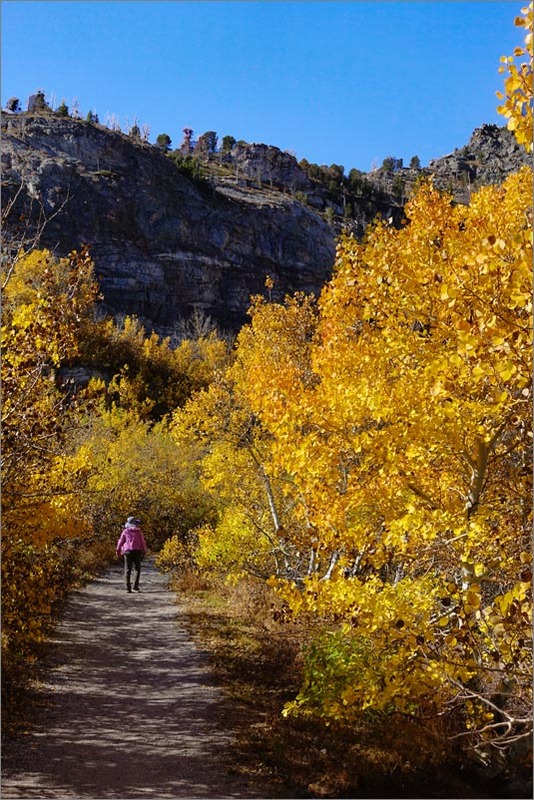 Bright fall color abounds on the banks of Angel Lake. Overall we enjoyed the trip but Yellowstone is off of our list for good. Each year we go camping I come back with a list of things to fix or change on the camper, but it's getting pretty minor. Little things like a dish rattle, better dust pan etc. We have no camping plans for now except going out for a nice New Years hike and coming back to a campground overlooking the beach, with a good steak on the barbecue and some champagne... I can't wait. PS: In you need any trailhead coordinates, email us.